I’ve been waiting for a good opportunity to catch this longer-term climb on EUR/NZD, and I’m seeing another potential pullback play on the 4-hour chart. I actually planned on going long on the previous pullback to the 1.6700 levels but chickened out ahead of the RBNZ monetary policy statement. This time around, I’m gonna stick to my guns and hop in on a test of the rising channel support and Fibs around the 1.6950-1.7000 area. Zooming out to the longer-term charts, however, shows that another ascending channel is holding and that the pair might be due for an even deeper correction to the very bottom. 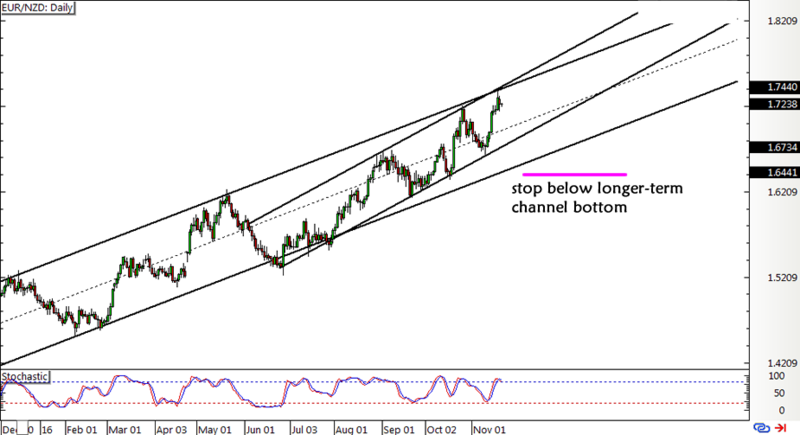 With that, I’m planning on placing a wide stop loss below the larger channel support around 1.6650. My entry area coincides with the mid-channel area of interest on this one, so I’m feeling confident that some buyers are waiting right there. Even with the political goings-on in Germany lately, I’m retaining a bullish euro bias mainly because of consistently improving fundamentals in the entire region. Of course the upcoming PMI readings, ECB minutes, and further updates on Germany’s coalition talks could provide event risks, which is why I’m inclined to wait for a pullback over the next few days. On the flip side, I’m Kiwi bearish because of weakening reports from New Zealand and the strong likelihood that their quarterly retail sales data due this week might also miss forecasts. 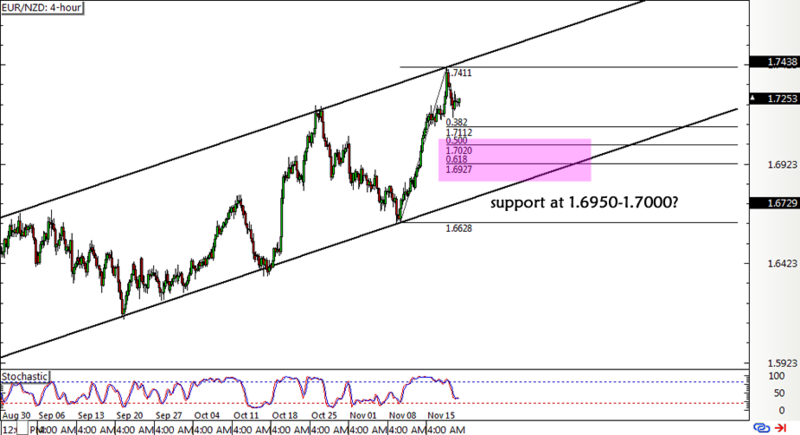 Long EUR/NZD around 1.6950-1.7000, stop loss at 1.6625, profit target at 1.7425. This should give me roughly 1.3-to-1 R:R as I risk 0.5% of my account on the setup. Wish me luck!